There is now a permanent topping lift made of braided spectra. These are tied from the top of the mast to the end of the boom and will remain in place when sailing. This is an extra safety feature to keep the boom off of the deck when the mainsail is accidentally or prematurely lowered. The wire topping lift still remains- this will need to be released when sailing. The reefing system has been simplified with one single line leading to a cam cleat under the goose-neck. In the rare occurrence of needing to reef underway (we try to always do it at the dock when the forecast dictates), the process can be done completely from the cockpit. We are still always here to assist in reefing on windier days. The ship’s report is now two pages. The first page will be collected by the dock master before your departure and the second page will be turned into the office after sailing. Please THOROUGHLY inspect for damage. Any unreported damage will be assumed new upon your return. The companionway bin boards need to be secured when sailing. Please do not simply “throw” the board in the boat as they could tear the seat cushions as the boat moves and heals underway. The best place to store the board is underneath the cushion. All boats are equipped with self-tailing winches. Never land on the facedock without first identifying the dockmaster and making sure he is ready for you. If another boat is attempting to land in front of you, make sure they safely tie up before making your attempt. There should never be a “train” of boats landing at the same time. You will never need to send a crew member forward, please keep everyone in the cockpit- the dockmaster will “catch” your boat and tie you up. Docking anywhere besides the designated Harbor Sailboats face dock is not allowed. When pulling the outboard start cord, always pull straight as opposed to at an angle. An angled cord will cause damage to the cord. The outboard engines carry 30-45 minutes of fuel. With that said, use them only when you need them, no joy riding because you might actually need the fuel at a later time. If the Porto-Potties are used, they must be cleaned and emptied. Ask the dockmaster for specifics on this process. A fee will apply if found not emptied. The navigation limit is no further south of the Coronado Bridge and no further south than Ballast Point. The max boat capacity is 5. No pets are allowed. Children 12 and under must wear a lifejacket at all times- including on the docks. A 13 year old is not required by law to wear a pfd but it is highly recommended. It is well established that joining a sailing club can help ensure that you save money, compared to owning your own sailboat or being a public charterer. A sailing club may also provide social sailing opportunities not available to the public. 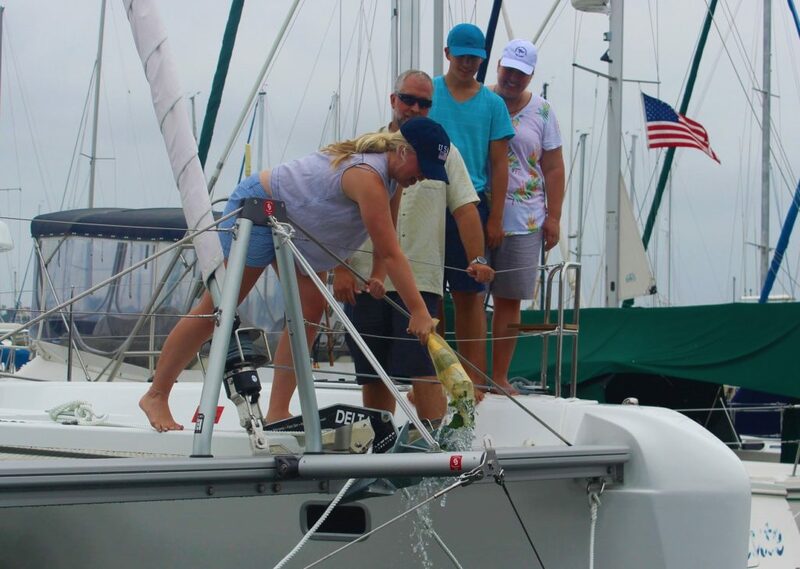 Harbor Sailboats, for example, offers exclusive Members Only Club Activities that cultivate member-to-member relationships and provide opportunities for growth in seamanship and boat handling all year round. Sailing club activities can include group sails, clinics, all female events, mixers, races, and even flotillas. 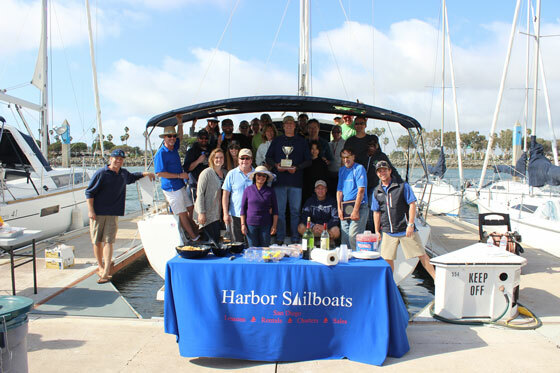 In this blog, we will dive into these different types of sailing club activities that you can expect from most organizations, highlight the benefits of each, and then give a comprehensive list of what Harbor Sailboats will be offering to its members in 2019! Group Sails – Often the most inclusive sailing club activity, group sails offer opportunities for members of all skill levels and their families to climb aboard club boats with professional licensed captains and enjoy the water in a stress-free social setting. Group boats may be organized through a sailing club for Whale Watching or sunset sails and give club members exposure to different boats they may not be qualified to take out on their own and expertise of professional captains for the duration. Clinics – In an effort to continually improve and enrich the sailing experiences of members, clubs will host clinics and focus on sailing fundamentals like docking and anchoring. In small group settings, instructors reinforce the specified sailing concept and give each participant hands-on experience practicing the skill. These are usually 2-5 hours in length, depending on the clinic content. All Female Events – The sailing community is predominantly comprised of male sailors and can often be intimidating to women interested in the sport. All-female events allow women sailors to meet each other, learn together, and sail together in a non-threatening and supportive environment. Some clubs even have dedicated groups that encourage women to get out on the water together on a regular basis. Mixers – Sailing clubs may host mixers for members to provide a forum for like-minded individuals to mingle in a social setting off the water. This is where previously disengaged members and new members alike can “plug in” to their club and find new sailing partners and just have a good time. Races – Sailing races, also called “regattas”, are comprised of multiple crewed boats in direct competition of one another. The set course is usually marked by buoys and some sort of officiating crew will proctor the race. Clubs can host fun, lightly competitive, regattas to mark the beginning of a certain season and Clubs can also host and participate in highly competitive regattas that require a highly skilled crew and specialty sailboats. The types of boats that race and skill level necessary to compete vary greatly but usually club staff are helpful getting interested members into programs they will be successful and suited for. Sailing clubs put together flotillas in places like the Caribbean, the Mediterranean, and the South Pacific in hopes of introducing members to international sailing in a stress-free way; the club does all the planning, organizing, and handles most of the logistical headaches involved in international travel which allows club members to just enjoy! Harbor Sailboats is a huge proponent of Sailing Club Activities. With over 1,000 members, activities like the ones listed above help individuals get the most out of their memberships and stay involved in club happenings. Check out what Harbor Sailboats is offering to its members this year and please give us a call if anything peaks your interest! Aboard our 2018 Oceanis 31’! All Club Members that rent a boat and participate in the Regatta will receive 20% off their charter! Hosted BBQ on the dock after the race. 1st, 2nd & 3rd place will receive awards! Aboard 2 of our Oceanis 35’s! Celebrate the longest day of the year with your fellow Harbor Sailboats members! You bring the food, we’ll bring the beer. Aboard 2 of our Oceanis 34’s! 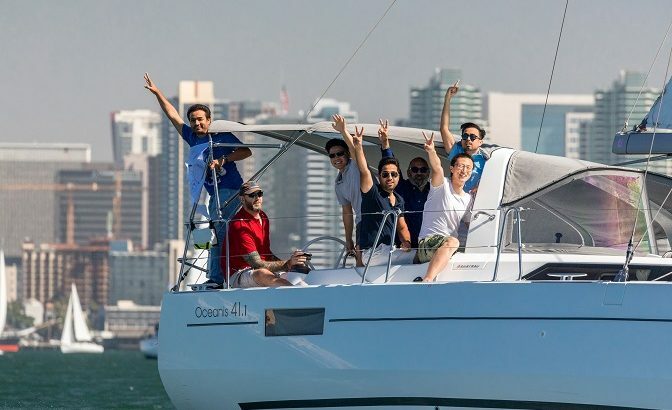 A Basic Sailing Class can vary in many ways and you may find yourself asking questions like: How long do classes run? Can sailing be mastered by taking an online course? What size sailboat should I start on? At Harbor Sailboats, we offer answers to all of these questions and advocate for our Basic Sailing Class to help prospective sailors test the water and take that first step towards their sailing goals. Harbor Sailboats prides itself in providing a solid foundation and tangible starting point for future sailors like you. Our knowledgeable and professional instructors will teach you everything you need to know about the basics of sailing in a safe and fun environment. Our Basic Sailing Class, otherwise referred to as ASA 101 Basic Keelboat, is offered at Harbor Sailboats every Saturday and Sunday. In just 2 days, you will be left feeling confident in your abilities and ready to skipper up to a 22-foot sailboat on your own. 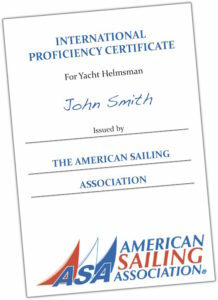 Upon registering for your Basic Sailing Class, you will receive a certification package which includes a log book to record your sailing hours, a textbook and study guide to help you navigate through the subject matter, and all certification fees associated with joining the American Sailing Association (ASA). We subscribe to ASA curriculum because it is internationally recognized and, in our experience, has proven an effective teaching tool for over 50 years! The curriculum focuses on basic on-the-water safety, rules of the road, boat part identification/terminology, sail trim, points of sail, docking, crew overboard recovery and much more. In order to get the most out of ASA 101 Basic Keelboat, we recommend you do a little studying before arriving at your weekend course. On day one of your Basic Sailing Class, you and your classmates will be greeted by your friendly instructor who will begin by getting you familiar with common boat terminology such as Starboard versus Port, a Tack versus a Gybe, and rigging and sail trim to name a few. After that short chalk talk, it will be time to hit the water! ASA 101 Basic Keelboat is over 80% on-the-water and less than 20% in the classroom; our Basic Sailing Course is designed to maximize your learning in a hands-on fashion. Each class will have a maximum of 4 students per one instructor which benefits students and instructors alike, creating the most interactive learning environment possible. Students will alternate crewing positions throughout the weekend under the watchful eye of the professional sailing instructor. You will wrap up day one with a review of Basic Sailing terminology, knots, and rules of the road. This review will prove very useful for Day two that will begin with your sailing instructor proctoring the 100 question multiple choice certification exam. After all students have completed the exam and it has been graded, it is back to the water for another full day of sailing! By 5pm of day two of your class, you will be competent, confident, and certified to take out up to 25-foot sailboats on your own. So yes, Basic Sailing Classes can vary in many different ways but at Harbor Sailboats, we believe one comprehensive and interactive weekend on the water can jumpstart and/or feed a lifelong passion for sailing! Working through ASA 101 Basic Keelboat with a professional instructor is the best starting point for any new sailor looking to test the waters and we would love the opportunity to help you get started. Visit our classes page to learn more about availability and pricing. Some members have noticed that the Harbor Island West Marina pump out facility now closes at 4pm during the winter and 5pm in the summer. This was put into place by marina staff in order to prevent commercial pump out services from emptying their tanks using the public dock. Unfortunately, this has a small effect on members’ convenience when pumping out but San Diego has several other options listed below. 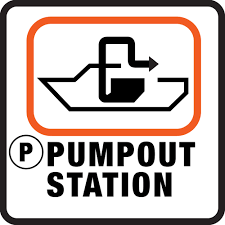 Most HS boats (not all) are equipped with macerator pumps that will allow you to empty the tank directly overboard only when you’re more than three miles offshore. Please check with the dockmaster before using this feature to refresh on the procedure. There are many indicators we use as sailors to help us navigate the wind. We’re constantly scanning the sails, the tell tails, the mast head fly/wind indicator, the electronics, flags on land, and even other boats. One major but often overlooked indicator however, is the boat’s heel angle. But what does the angle tell us? The wind is very rarely constant in direction and speed which means the boat can flatten and heel over sporadically even with a constant compass heading. To compensate for these changes and to sail upwind as effectively as possible, simply “Sail the Heel.” Try to find a good heel angle both you and the boat are comfortable with and stick to it. If the boat begins to feel overpowered and the heel angle increases, gradually head up into the wind to reduce the angle but also make sure your jib is trimmed properly as not to luff the sail. The opposite is true if the boat begins to flatten out and feel stalled- simply bear away or turn down to increase power and heel angle but keep in mind these course changes are about 5 degree. When you find the groove your tell tails will all be stream horizontal towards the stern of the boat. As you practice this more and more, you’ll begin to anticipate what the boat is going to do before it ever happens- slight adjustments heading up or heading down will correct for wind variations and help you maintain a constant and very efficient track sailing upwind. Get “in the groove” and stay there by sailing the heel! The boat pictured is clearly overpowered and needs to head up towards the wind to flatten out. Once flattened out the boat will actually pick up speed (no longer going sideways) and become a more enjoying ride. Boat Show Time! 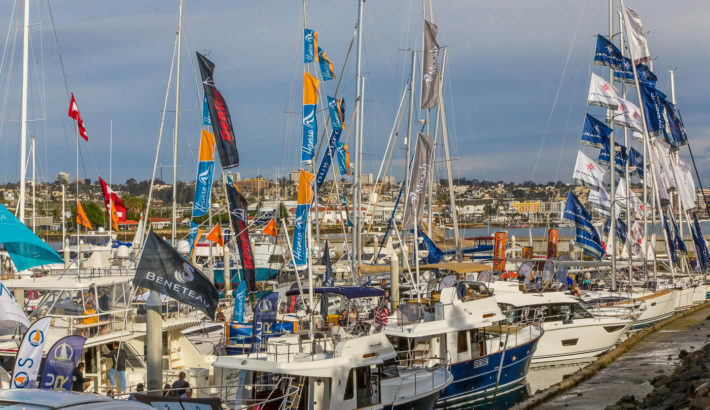 It’s an excuse to ditch work a little early or bring the family down for a fun afternoon looking at all the new products and technologies, but how can you attend a boat show like a pro? Let us explain. Rule #1. Bring shoes that you can easily take on and off and in Southern California, this means flip flops! Without exception, you will be asked to remove your shoes before boarding any of the boats at the show and if you plan to view every boat (over 100) this is going to get annoying if you’re wearing anything other than slip on shoes. Have a Plan. Before entering a show you should scout out the exhibitors online and make a mental list of what you want to see. 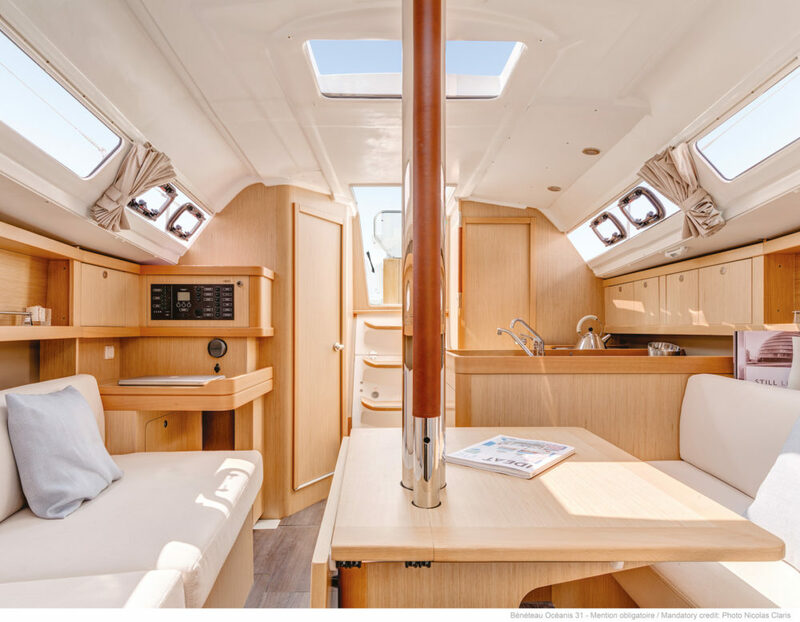 Do you want to concentrate on the land booths that are selling foul weather gear, anchors, life jackets, insurance, sailing tours, etc, or do you really want to see the new Beneteau Oceanis 38.1 and compare to another brand? Having a plan will help you stay focused and get the most out of the show. Some boat shows will have exhibitors that offer new boats, used boats, and clubs that offer sailing lessons. Most shows will have seminars or on the water activities so make sure you see what applies to you best. Pack Light. Sort of in line with the golden rule of no shoes, you will want to leave the backpacks and heavy gear at home. Most exhibitors will ask that you leave the larger bags on the dock for fear of zippers and other sharp edges scratching the wood surfaces. One of the sponsors is guaranteed to give you a plastic bag with handles as you enter the show for you to collect brochures and business cards. Arrive Early. Most boat shows will start on a Thursday and end Sunday evening and as you can imagine the crowds can become pretty massive on the weekends. 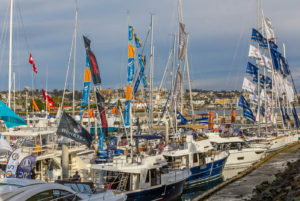 If you want a more private setting with ample time to get into the details with a rep. then we recommend exploring the boat show the first or second day, you can always come back on the weekend if you need a second look or want to see more. Keep an Eye on Kids: If you have a child under the age of 12 a life jacket is required while aboard any moving boat, although these boats are not moving it’s encouraged that you bring a life jacket for the young ones. The docks are skinny and the crowds are big so keeping a close eye on the young ones is not to be underrated. This responsibility continues when you get aboard a boat as it will move as people step on and off. Bring a Check Book. This may sound a little aggressive but it’s the honest truth. These boat shows cost the dealers thousands of dollars per boat not including the set up time, break down, marketing dollars and staffing. Some of the larger shows come with a price tag over $100K just to be there. With such a large bill, dealers will create boat show specials in order to recover some of these costs. A lot of the dealers have manufacture backed specials that absolutely expire on Sunday evening so if you’re in the market don’t be afraid to take advantage of the huge savings that are offered at these shows. Think Black Friday for boating! These are just a few tips on how to best explore a boat show, bottom line is mark your calendar for January 25-28 and come enjoy this lifestyle with us. 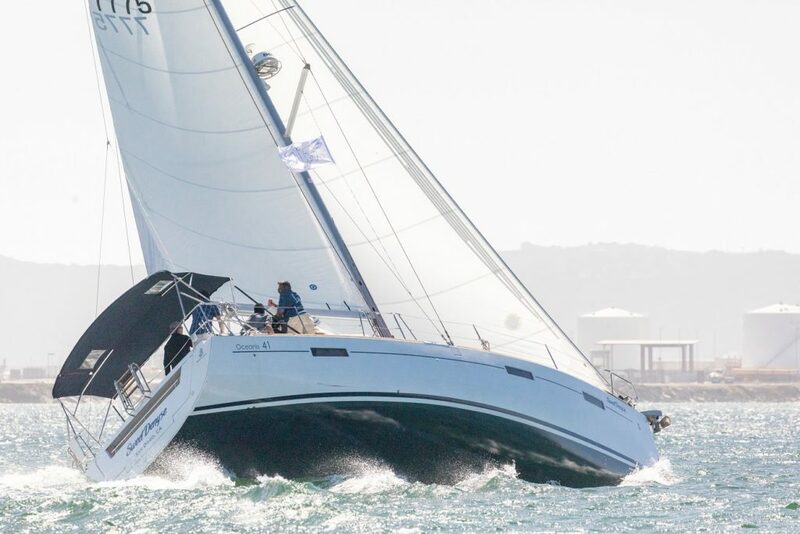 Harbor Sailboats and SailTime San Diego will be in the water with a new Beneteau Oceanis 31, Oceanis 38.1, Oceanis 41.1, and a Oceanis 45 along with the Beneteau power line of Wellcraft boats in conjunction with South Coast Yachts. To learn more about the show and to get a sneak peek view of the specials contact Harbor Sailboats today! The New Year is here and that means whale watching! California Gray Whales are now making their annual migration south from Alaska to the warm-water Baja lagoons to give birth and nurse. 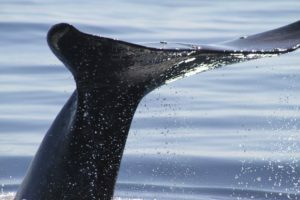 Their passage is the longest known mammal migration measuring over 12,000 miles round trip and luckily for us San Diego sailors, that puts us right in line to take in the sights. The entire migration averages 2-3 months. 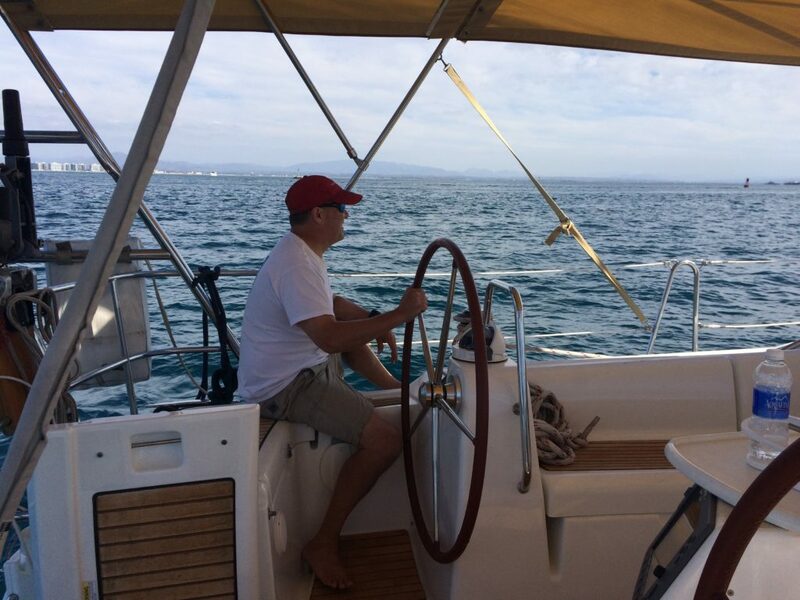 Harbor Sailboats offers private whale watching tours aboard our fleet of sailboats 28-45 feet. Enjoy an intimate and private setting aboard a luxurious sailboat with a modern design and a professional skipper. Your skipper will try his or her best to get you up close and personal with all the southern California marine life and create and unforgettable experience. 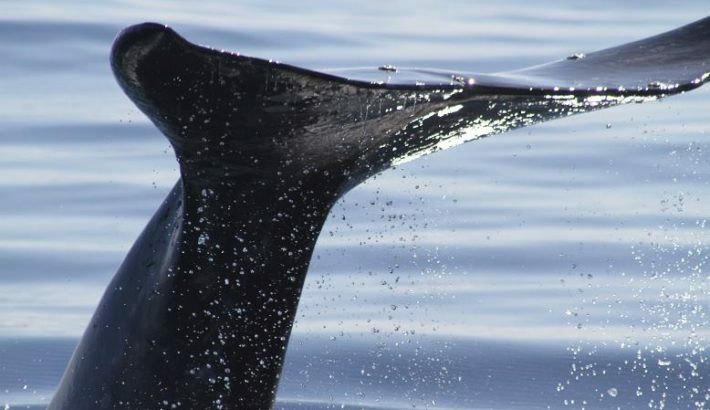 For current members or sailors, the best way to observe the whales aboard your sailboat is to head straight south out of San Diego Bay. There have been times in past years where whales were traveling right along the kelp line, but this is somewhat rare. If you don’t immediately find them, the best strategy is to head towards the Safe Water Buoy (#1) and really begin to look for signs. The whales typically travel in pods of 2-3 so keep your eyes focused for obvious spouts. Did you know Gray Whales have two blowholes? Another trick of the trade is to look for boats grouped together which would otherwise have no reason to really be near each other… These boats are looking at something and chances are this time of year, they’re seeing whales. Once you locate a pod, be mindful to respect the animals and keep your distance as to not disrupt their natural behavior (no closer than 100 yards). The best way to view the whales is to ‘run with them’ meaning to sail parallel in the same direction they are swimming (which should be south). The Grays usually swim at 5 knots so the boat speed vs their speed should pretty close. Remember to take pictures! What do Gray Whales eat? Gray whales are bottom feeders- they use their snouts and bodies to dislodge tiny crustaceans and other small organisms off the seafloor. This process stirs up the sea life in which the whale uses its baleen to filter in the food. A piece of gray whale baleen measures approximately 18 inches and is much like the human fingernail in consistency. How big are Gray Whales? Gray whales will grow up to 40 tons, measuring around 50 feet. Female Gray’s usually grow slightly larger than their male counterparts. How many gray whales exist? Are they endangered? Current estimates put these whales at about 20,000 worldwide. As a result of major international conservation efforts, California Gray Whales were removed from the Endangered Species List in 1994. Most of the world’s population resides in the Eastern Pacific but gray whales can also be found off the coast of Korea in large numbers. There have even been confirmed sightings in the Atlantic Ocean which suggests old breeding grounds from the 17th-20th century may beginning to be used again by rare Atlantic pods. The only known natural predator to the gray whale is a pod of killer whales. What is a Gray Whale’s lifespan? Gray Whales live 50-70 years. The become sexually mature at 8 years of age. Give Harbor Sailboats a call to arrange you whale watching tour aboard a new, modern and cleaning sailing yacht! What is an International Proficiency Certificate and how do i get it? At Harbor Sailboats we offer a 1 day International Proficiency Certificate Challenge for highly qualified sailors to expedite this process. Contact us to learn about pricing and prerequisites. The sailor must understand the IPC FastTrack is Pass/Fail and nonrefundable. Testing is to take place on a Weekday Only. Have you always wanted to learn how to sail? Have you also wanted to visit and vacation in San Diego? How about combining the two with a San Diego week-long sailing vacation?! 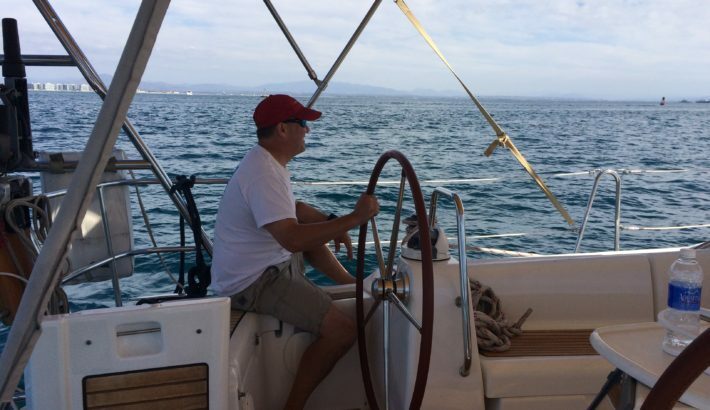 A live-aboard sailing vacation is geared for the sailor who has limited time available but wants to complete an accelerated and comprehensive training program of the ASA curriculum. San Diego Bay is the perfect instructional venue due to its year round protected waters, mild and predictable weather, and its pure beauty. Between you’re private floating condo (you’re boat! ), easy access to beaches, restaurants and all major attractions, you’ll have it all in San Diego. We are located in the Harbor Island West Marina which is just a quick and cheap 5 minute ride from San Diego International Airport and Downtown San Diego (no rental car needed). Harbor Island is conveniently located in central San Diego Bay meaning we are equidistant from the Coronado Bridge and Point Loma which leads out into the Pacific Ocean. During your sailing vacation you will be moved aboard a sailing yacht for the duration of your course which you can provision and stock as needed (think condo!). Typically the first two days of instruction is spent aboard a smaller boat (ASA 101) with the next 2-4 days of instruction taking place aboard your live aboard boat. Depending on your goals and prior experience, students will book 4-6 days of instruction covering multiple levels of ASA certification. 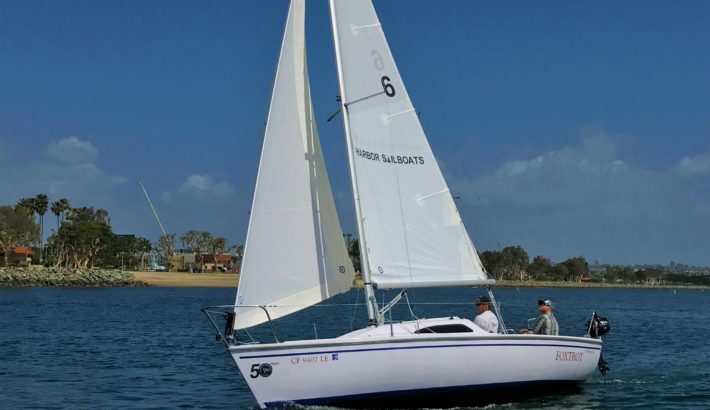 Our most basic sailing vacation is a 4-5 day course that covers ASA 101 day 1 and 2, a break on day 3 to sail or explore San Diego, and then goes onto ASA 103 on days 4-5. Add two more days of instruction for ASA 104 or book the boat for a couple days of sailing on your own! It’s all possible with a customized learn to sail vacation with Harbor Sailboats. Below is a quick description of each ASA level and students shall be prepared to spend 2 days on each classes level. ASA 101-Basic Sailing. Able to skipper a sloop-rigged keelboat of approximately 20 to 27 feet in length by day in light to moderate winds (up to 15 knots) and sea conditions. Knowledge of basic sailing terminology, parts and functions, helm commands, basic sail trim, points of sail, buoyage, seamanship and safety including basic navigation rules to avoid collisions and hazards. ASA 103-Coastal Cruising. Able to skipper a sloop-rigged auxiliary powered keelboat of approximately 25 to 35 feet length by day in moderate winds (up to 20 knots) and sea conditions. Knowledge of cruising sailboat terminology, basic boat systems, auxiliary engine operation, docking procedures, intermediate sail trim, navigation rules, basic coastal navigation, anchoring, weather interpretation, safety and seamanship. ASA 104-Bareboat Chartering. Learn how to sail a sloop-rigged, auxiliary powered 30′-45′ sailboat during a multi-day cruise upon inland/coastal waters in moderate/heavy winds and sea conditions. Learn about provisioning, boat systems, auxiliary engines, advanced sail trim, coastal navigation, anchoring / mooring, docking, emergency operations, weather, and more. View description of all sailing vacation courses or call our office for a customized quote. See you on the water! 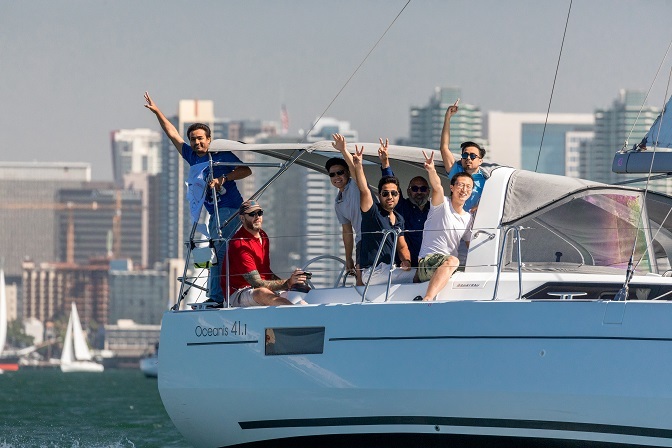 If you’re a current member of Harbor Sailboats or have done some research on us, you probably know we also operate SailTime San Diego, a fractional membership club. 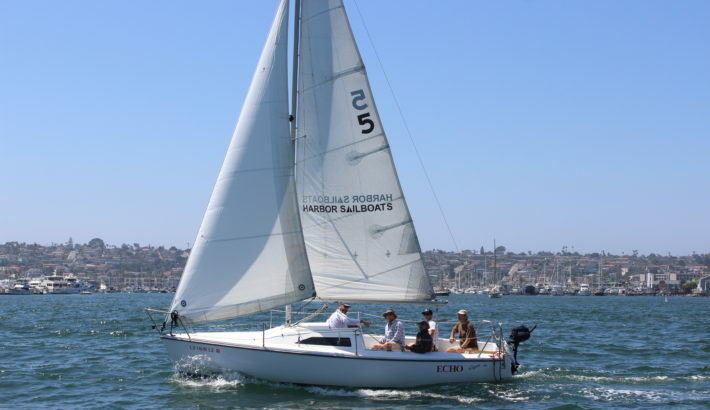 What are the differences between Harbor Sailboats (Sailing Club) and SailTime San Diego (Fractional Membership)? Lets first define what a sailing club is. A sailing club is usually a privately owned organization that offers sailing lessons and or sailboat rentals to non-boat owners. A club will usually operate a fleet of vessels that are located in the same marina and available for charter to the club members. Most clubs will have a one time initiation fee along with annual or monthly minimums and offer discounted charter rates to its members. 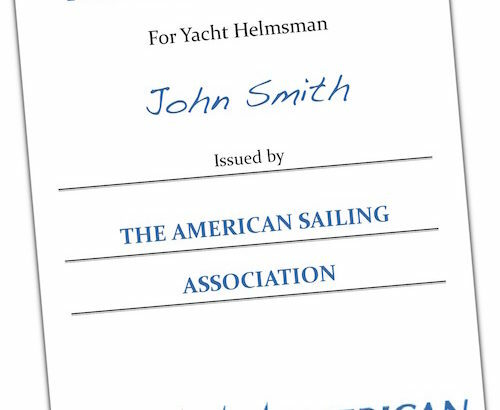 A factional membership program like SailTime is similar expect sailors are purchasing a membership (i.e. usage) to a specific boat rather than a fleet of boats like a sailing club. With a factional membership, a boat is typically owned by a single person and the rest of the users are essentially leasing a share of the boat rather than becoming equity partners. This program is similar in concept to a time share or fractional ownership of a yacht but without the nasty commitments and fees associated with those. Deciding which program to join will depend on how often you plan to sail. 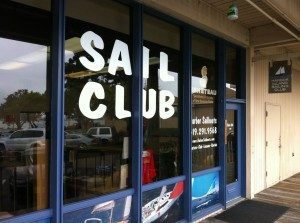 If you think you’ll be sailing once a month or less, than a club like Harbor Sailboats is a good option. If you think you’ll be sailing at least once a month and likely more, a SailTime membership will prove a better program. Finally, if you’re going to sail once a week than boat ownership may come attractive to you. A program like SailTime will have a monthly rate that usually cost more than one charter of an equal boat and less than three charters of that same boat. This is why it will make sense to join a fraction program if you plan on sailing on a more regular basis. Most new sailors will feel more comfortable joining a club like Harbor Sailboats since they can start with the basics and build their skill levels on various size boats and models before making a bigger commitment to a fractional membership or ownership. The majority of fractional members “graduate” from sailing clubs after they have gotten hooked on the sport and have the confidence to skipper boats with less supervision. No matter your resume or goals, our organization can accommodate you! Come by the office to learn more about the sailing club, SailTime San Diego, or our boat ownership programs. What Size Boat Should You Put Into Charter? 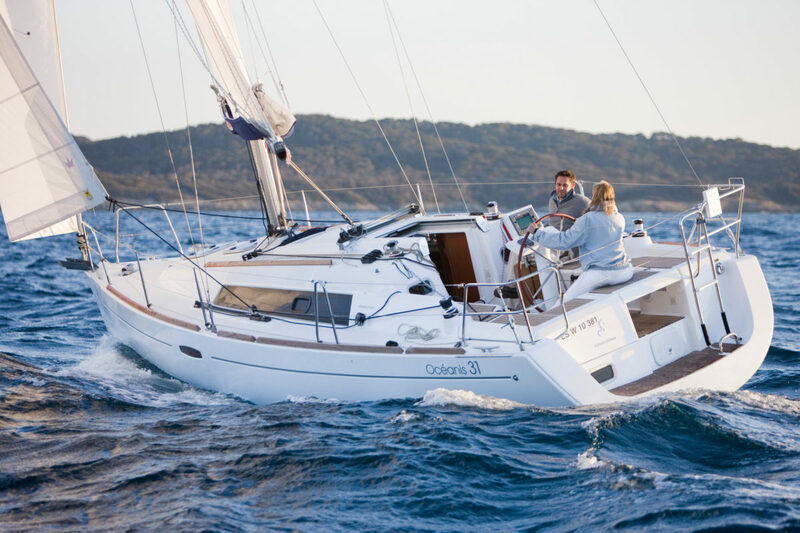 A questions we often get is what size Beneteau should I purchase for charter placement? As before, we will answer this question from the perspective of “limited charter” like we do at Harbor Sailboats. Owners should be purchasing the boat they want to own and sail for the next 5-10 years! Since our club boats charter less than 90 days per years it’s very important that you are owning the boat that best fits the needs of your family first and needs of the club second. That being said, the club will always show you the size range that has the best earning potential and the biggest need, let’s look at a few examples. 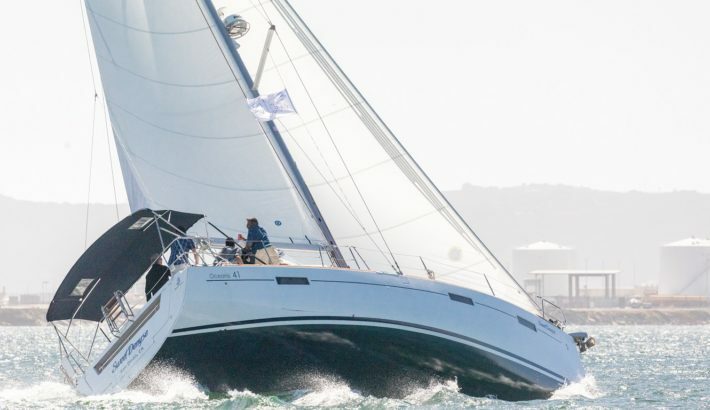 The fleet of Beneteau Oceanis 31′-35′ will likely charter more often and in turn generate good revenue to help offset your costs, those size boats also cost less to own and maintain meaning owners in that size range likely see a greater percentage of cost coverage compared to larger boats. 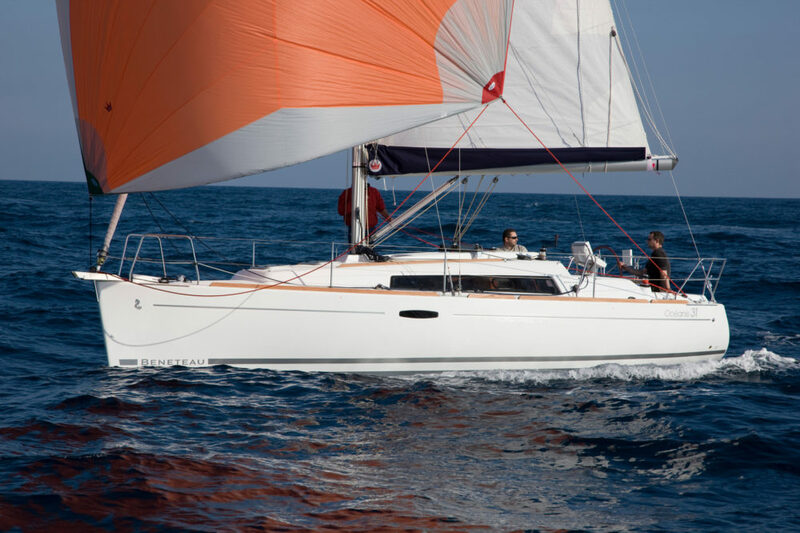 That said, if you have a large family the smaller boats will likely be a little cramped for the weekend trips to Mission Bay or Catalina compared to the Beneteau Oceanis 41.1 with a huge cockpit and optional 3 staterooms and 2 heads. Keep in mind that the larger boats may charter less often but their daily rates are much higher than that of the Oceanis 31. Here again, purchase the boat you want to own and the club will make it work! When considering Charter Placement, we sit down and discuss your goals and needs and try to find the boat that fits you best while not ignoring the needs and revenue potential within the fleet. Harbor Sailboats will never “overcrowd” a size range in fairness to current owners so regardless of your choice, we can still save you thousands of dollars a month compared to private ownership. On average, fleet boats generate enough revenue to cover slip, insurance, and maintenance on an annual basis; this works out to about 50% of you overall cost if you add financing. Harbor Sailboats is a sub-dealer of Beneteau yachts meaning we have direct access to inventory, ordered boats, options, pricing, etc. Your purchase and placement through Harbor Sailboats makes boat ownership easy and more cost effective. Contact us today to learn why Harbor Sailboats is southern California’s leader in charter ownership. Harbor Sailboats has inventoried a brand new 2018 Beneteau Oceanis 31 for sale into the ownership program and it’s ready for immediate delivery. Unlike other fleet boats, this Oceanis 31 will be placed under an extremely rare guarantee program that will pay 100% of the ownership cost for the first 3 years while still delivering liberal sailing time for the owner. After completing the purchase through Harbor Sailboats, the owner will enter into a 3 year agency agreement that will have the club pay the boats slip rent, insurance, maintenance, and loan payment every single month! Essentially, the only cost for three years is a down payment on a loan (typically 20% or in this case roughly 39k) and Harbor Sailboats will take care of the rest. If a boat owner chooses not to finance, Harbor Sailboats will still make a lease payment equal to what a typical loan payment would be. Today’s typical boat loans are for 20 years, with 20% down, and rates around 5.5%. An owner will enjoy regular sailing on their own yacht while saving thousands of dollars per month and countless hours of management. After 3 years the owners have the option to keep the boat in the fleet for two more years under the normal 50/50 revenue split, the option to sell through the Harbor Sailboats brokerage, the option to keep privately at the marina or trade in for a new Beneteau! Under this very special agreement the owner has 42 days per year of reserved usage and unlimited usage when book on the same day. Of the 42 days, 14 of them are available May 15-Septermber 15 with the renaming 28 days available September 16-May 14 . 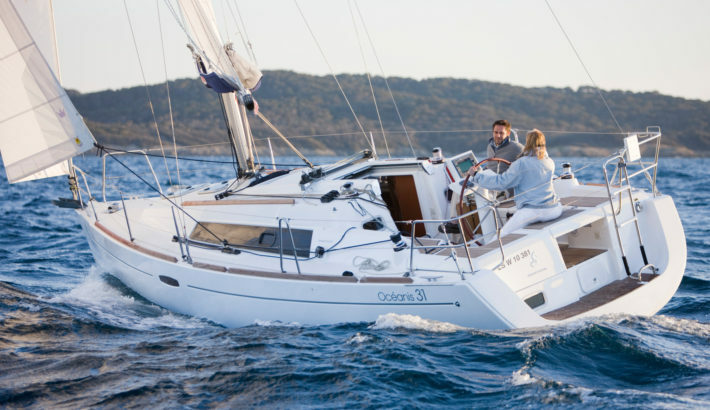 The Beneteau Oceanis 31 is the entry level cruiser in the Oceanis line but don’t let her LOA fool you. The 31′ has an incredible amount of room in the cockpit for the entire family while also delivering a spacious salon and master cabin. Her interior will sleep 4 with one head and shower. The modern design makes short handed sailing simple with all control lines leading aft and top electronics from B&G. Some delivered option included on this boat. Who is this program right for? 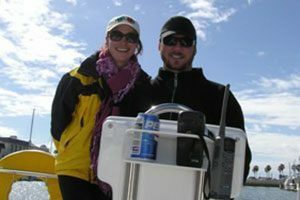 This program is a perfect fit for someone looking to get into boat ownership while not braking the bank. Allow Harbor Sailboats to cover almost 70K worth of expenses while you slowly acclimate yourself to ownership. Perhaps you are retiring in 3 years and this is a way to get ahead of the cost and take full advantage of more free time 3-5 years from now. Another fit would be a family who wants to own a larger Beneteau one day but is a little intimidated by getting into a 45′ right now. This is an inexpensive way to work towards that goal while building those skills as a family. Someone who needs help reducing his/her tax liability for 2017 may find this to be an extremely attractive option. We strongly recommend consulting a tax professional but this purchase may qualify for benefits under Section 179. Regardless of your reason, one must first want to own a boat before considering this option. Compared to private ownership, this program is an obvious savings in cost and time. Relevant Training – Finding a club with training tailored to your specific skill level will open up a world of possibilities by eliminating the “But I don’t know how!” and the “But I’m not certified!” It is important as a sailor to have a strong combination of both certifications and experience. By joining a sailing club with a structured sailing curriculum like ASA, you can check both structured training and time on the water off your list! 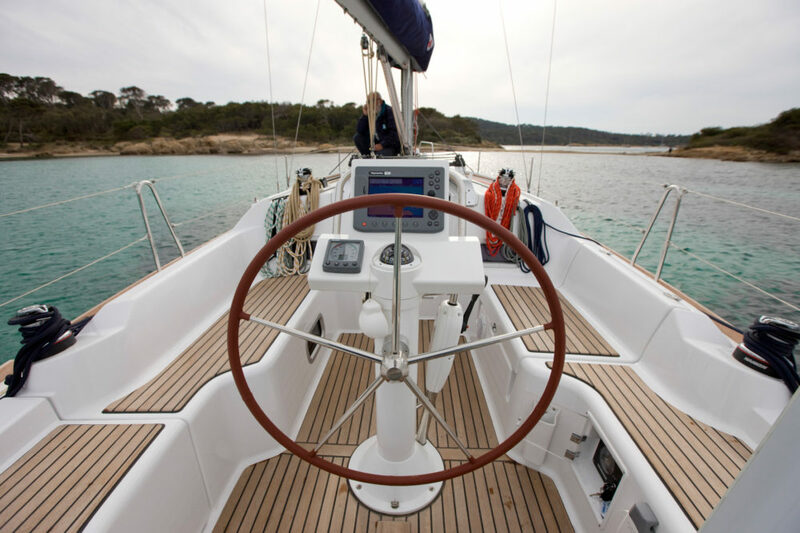 Affordability – Probably the most logical reason for joining a premier sailing club is to enjoy the perks of sailing brand new yachts for pennies on the dollar compared to buying and owning yourself. You can charter a new Beneteau a couple times a month for less money than the slip rent and maintenance would cost a boat owner. This brings up an important aspect of choosing a club; shop around! Tour all the fleets, meet staff members and instructors, and check out the products being offered first hand to really get a good grasp on what you are paying for. Remember, you get what you pay for so do your homework and ask questions. Ask to talk to current members too. Connection! Connection! Connection! – Being a member of a club gets you exclusive access to what that club offers, including other members! For instance at Harbor Sailboats, we have a “Members Only” forum that can be used for crew sharing opportunities, meet and greets, and much more and is only available to our members. Not to mention, club staff is always willing and ready to assist with a simple phone call or email. Not being able to find crew is a problem of the past! Tailored plans for Future Endeavors – What are your ultimate sailing goals? Do you dream of chartering in the British Virgin Islands? Do you see yourself owning a yacht one day? 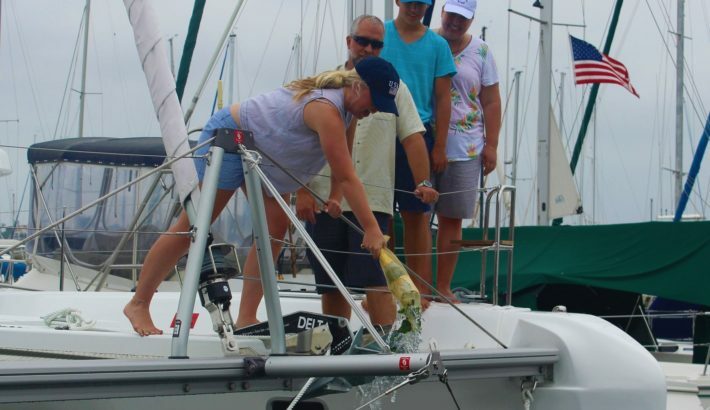 As a member of a sailing club, staff can work with you achieve your desired sailing goals. Harbor Sailboats for example holds club sponsored flotillas and in-house ownership opportunities in order to foster and support our members’ sailing dreams. So what are you waiting for? Join a sailing club! Many Americans have a dream of one day sailing off on their boat, but how do you get started with that dream? The first step is to take a basic sailing lesson; here at Harbor Sailboats we offer ASA 101 Basic Keelboat. ASA 101 is a two day course where we spend 80% of the time on the water aboard a Capri 22 learning the basics of sailing. Topics include terminology, points of sail, rules of the road, sail trim, docking under sail, man overboard and many others. After completion of this basic sailing class you’ll have both the skill and the confidence to safely skipper a 22 foot sailboat with friends and family and a certification from the American Sailing Association. From that point, you simply build on those skills by chartering the smaller keelboats until you have enough sea time to enroll into the next level class. At Harbor Sailboats that class is ASA 103 coastal cruising and after completing the 103 class you will now be certified to skipper boats up to 37 feet. At this point you continue to build your resume by chartering the larger 30 to 37 foot sailboats for a day, weekend, or even a week at a time. Take your certifications as far as you desire by enrolling in the next three levels of classes that will certify you to a maximum of 51 feet including catamaran certifications. If you plan to make San Diego your home base for sailing, a Harbor Sailboats club membership will prove to be a valuable option for you. Members of the sailing club receive substantial discounts on ASA classes, charters, and access to member only charter specials including an annual sailing trip in the Caribbean. After a year or two of chartering and training you might be ready to buy the sailboat of your dreams and sail off into the sunset! The concept of a sailing club membership may be foreign to some people, but what are some of the differences between being a club member and just renting a sailboat for the day? The direct benefit of a sailing club membership is the discounted rates you receive on both sailing classes and sailboat charters. As a member of the Harbor Sailboats sailing club you can expect to save anywhere from 30% to 50% off the public rental rate. These cost savings really add up even if you only sail a handful of times annually. Another great benefit of our club membership are the member only specials offered to you. Here, our club members can take advantage of flex time sailing, weekend specials, extended trip specials, and standby specials just to name a few . In addition, new sailors who join the club also receive the ASA 101 Basic Keelboat, complementary, so you can hit the ground running. The familiarization with the boats and the clubs process is also a big difference between being a member and a public renter. As a member you are more familiar with how the whole process operates in respect to the reservation and boat checkout process. This allows you more time on the water and less time dealing with formalities. As a member of a club like Harbor Sailboats you are also more familiar with the sailing area allowing you to have a more enjoyable time on the water. The social aspect of a club membership is also a very important consideration. A public renter may not get an invitation to join some of the group activities like opening day, boat shows, group sails, holiday parties, and annual flotillas, just to name a few. The social activities help give your club membership more value and also serve as an environment to meet other like-minded sailors. 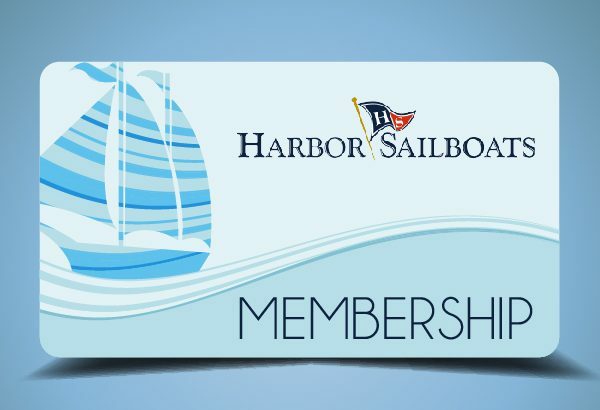 A very unique feature of Harbor Sailboats is our “members only” forum that serves as a great platform for members to connect and sail together. These are just a few examples of the difference between being a public renter and having a sailing club membership. If you plan on sailing in San Diego a couple times per year, even if you live out of town, our club membership is the best option for you. We encourage you to learn more, ask us questions and talk to current members to help you decide if it is right for you.